There are more than quite a few people who think that Avocado is a Spanish resort or an Italian motorbike and others that would swear it’s a style of zumba. The rest of us know it as that fruit that unless it has a label that says ‘ready to eat’ is a lottery to when its ripe and is often avoided, by many as a risk. There are many health benefits to an avocado and they do more to delay wrinkles than any of these anti-aging creams or the more severe practice of ironing one’s face. They do this by being eaten and/or spreading the green flesh over ones face like a mud pack. 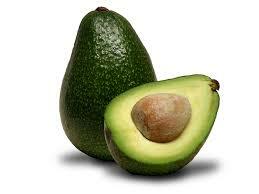 Top tip here is to eat the flesh and to rub the remainder that has adhered to the outer skin over ones face. Leave it for 30 minutes and then wash off. Another top tip is not to do this if you are expecting a parcel from Amazon within the hour. Apart from vanity they are also very good for preventing or helping to prevent, Cardiovascular disease, Arthiritus, Diabetes and Weight loss, which are probably better reasons for eating them. Top tip 3 is to always buy those that have been wrapped as Avocados fall prey to squeezing as people presume that they are experts at determining ripeness by a squeeze so many Avocados have been fondled to damaging levels and besides I’ve followed enough people out of supermarket toilets that haven’t washed their hands who head straight to feeling and poking fruit and veg. – I won’t expand on that on this particular post but suffice to say, these people need to be tackled there and then, and loudly, so loudly that they hesitate to punch you allowing shame to take hold. I wouldn’t trust just washing the Avocados, or any squeezable produce for that matter, in case the stained finger nails of the aforementioned unwashed have penetrated to the flesh.. 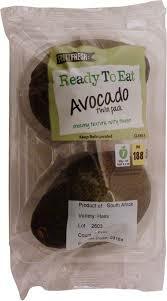 So, a perfect Avocado day would be to buy a couple of ‘ready to eat’ as opposed to ‘ripen at home’ wrapped fruits. Return home. Switch off phones. Cut fruit in half. Remove the stone/nut – and set aside. 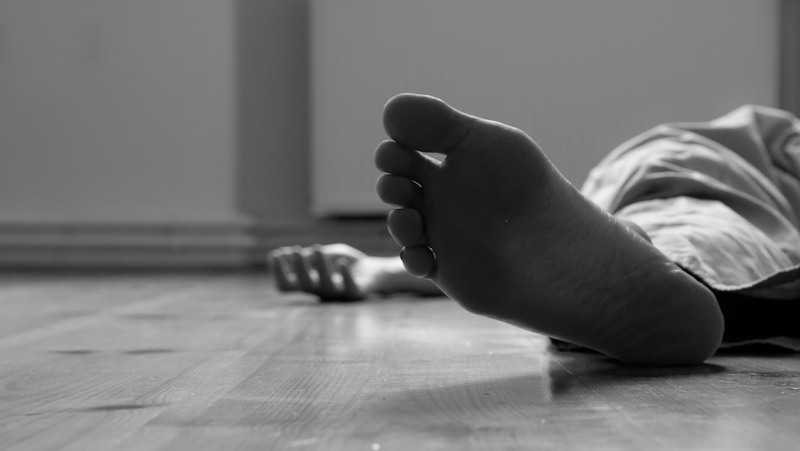 Remove flesh and chop, slice or eat there and then, check Amazon have been, spread remaining flesh on skin all over ones face and neck and even hair (It’s good for that too) and then lie in Savasana for 30 minutes (be sure the dog is out of the room, trust me on this). After 30 minutes, wash and feel brilliant. 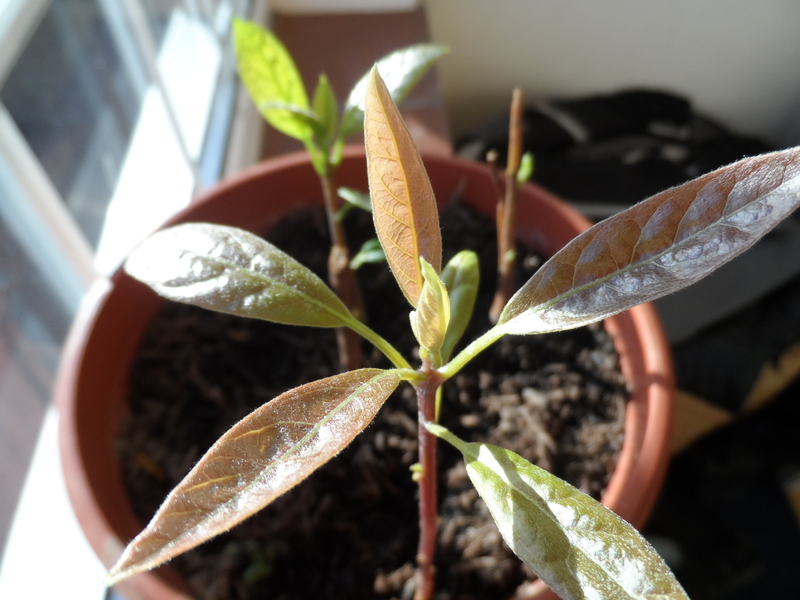 Pick up stone/nut and plant in moist compost, put pot in warm and sunny window, keep compost moist and then wait 4 to 6 weeks and this happens !……………………….. I spray the leaves once a day with a mist spray thingeemajig.